With the famous Cape Doctor (south-easterly wind) blowing from September to March each year, fishing conditions can become fairly tough down here in the Mother City. Once the wind dies down slightly during winter, it’s the rain we have to contend with. But, I am not complaining. As a hardy carper, I prefer these conditions when I’m on the hunt for a lump or two. The chances to single out bigger fish are much better in these worsened conditions with lower air pressure. Finding waters down here are very difficult. I have managed to identify a few waters that might produce the odd big fish now and then with the help of a couple of friends, but fishing them regularly is not easy. About 98 percent of our waters are day venues and does not allow you to overnight or camp. So, it’s basically down to 12-hour sessions, unless you’re fortunate enough to spend some time next to the old Breede. I have been lucky enough to find a little piece of water close to home that seemingly holds a healthy population of carp. I guess I struck gold, beautifully scaled common gold! My first strategy involved a lot of boilies, maize and a spod rocket. 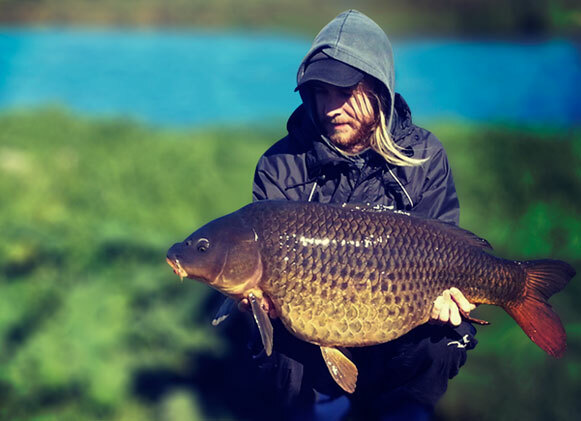 I wanted to introduce feed and get the carp interested and used to boilies. Having no idea of the size of carp in the water, I felt this was the best approach. I started feeding regularly, around twice a week, not really fishing at all. Eventually, I managed to spend four hours next to the water, enough to get a few Hair Rigs loaded with boilies out into the water. I blanked during my first few sessions, but the knowledge I gained during the time simply feeding and observing turned out to be invaluable. I saw no fish turning or jumping the surface while I was next to the water. I also realised that most of the bottom is covered in a stinky black silt and the reeds all around the dam seemed to be home to more birds than anything subsurface. Being restricted to only one fishable swim on the seven acres of water turned out to be a blessing in disguise. A little gully, around forty metres wide, allows one to fish a few ‘good-looking’ spots – anything from immediate deep water to being able to cast out to a few harder gravel spots. This is where I found my success. I saw carp below the surface at the immediate drop to around one metre of water right off the grass embankment, two metres out. There were probably about eight to ten carp swirling it up with their tails as they were feeding on the spilled maize from my feeding expeditions. I grabbed my bag of frozen corn and chucked out a few more handfuls of bait into the buzzing area. I thought to myself: “Why on earth are all of the fish congregating in this small, secluded gully?” And I guess there was my answer – a small secluded gully, hidden away in a little corner. It is safe from the wind, especially when the Cape Doctor is blowing and deep enough to hide away from the large population of aquatic birds, hunting the shallows on the other end of the lake. Putting out conventional specimen traps did not do the trick and became very frustrating. I had to come up with a different plan, and all of a sudden, free-lining came to mind. 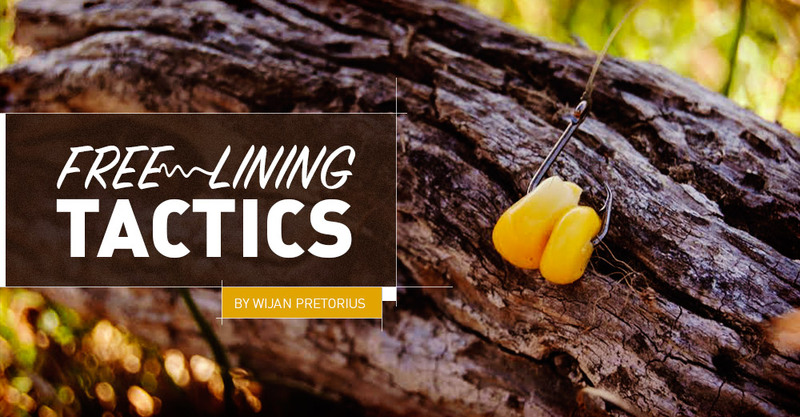 Free-lining is when you put out bait – in this case three kernels of frozen corn – without the use of technical rig setups; getting down to the bare essentials of a hook and bait. Using the wind to your advantage is a great idea, specifically when you have the wind blowing from behind. This will give you a little more distance when casting. Free-lining bait down a river with the help of a slow flowing current, similar to fly-fishing, is a great option too. I tied a size 8 Mustad Circle Hook (which I bought for sea fishing), hooked the kernels of maize and plonked it over to the feeding area. Not even three minutes had past when I saw my line on the surface pull tight. I reeled in the rest of the slack and I was in! It was great fun to play a fish that’s probably never been caught before, trying its utmost to escape left and right through a patch of grass and eventually tiring. And boom-back of the landing net! It wasn’t big by any standard, but I managed my first carp on the bank from a beautiful piece of water I ignored for way too long. When free-lining for carp, I suggest that the angler stays aware of what is happening at the business end of his setup. Always keep an eye on the line, as this is the best indication of a fish nibbling on your bait. 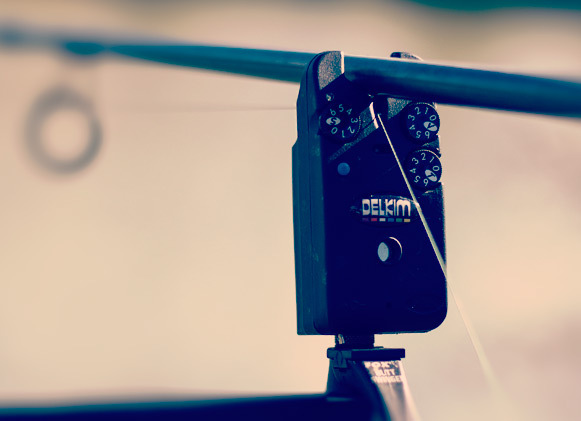 When you get a bite, you will have to tighten the slack on your line – you need tention to set the hook. 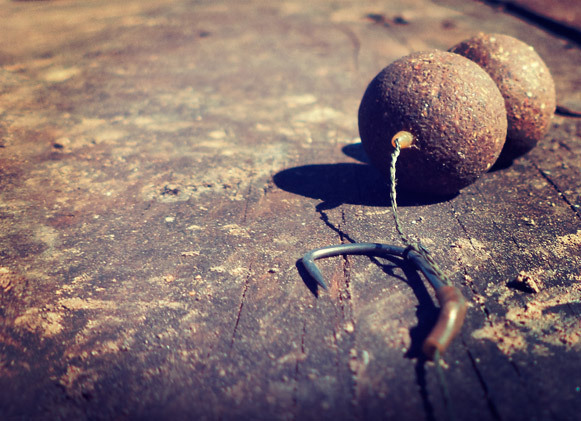 Use a low diameter line to increase casting distance and feel free to play with different baits. Bread is a favourite carp bait, but might be a bit tricky to keep on the hook. Don’t forget about the trusty old ‘erdwurms’ we all grew up to love, it will surely be a killer! On my next session to this venue I decided not to bother bringing my 12-foot carp rods, as casting out a three-ouncer is not on the to-do list. I opted for my bass kit, a five-foot Shimano rod coupled with a small TICA grinder filled with ten-pound nylon mainline tied straight onto the hook. I was armed with three or four kernels of maize on the hook and a couple of handfuls out into the swim. This turned out to be great day – the most fun I have had next to the water since I've been in Cape Town. I was absolutely climbing into the fish every single time I went to my newly discovered local spot. I averaged around six fish per two-hour session and all of them on bass gear. Oh my goodness, I had endless amounts of fun. Coupled with my new free-lining adventure, I am also working hard at introducing better baits to strategically chosen spots for the older and (hopefully) larger residents of the lake. I will tell you all first whenever that biggie graces my mat in the not too distant future I hope.